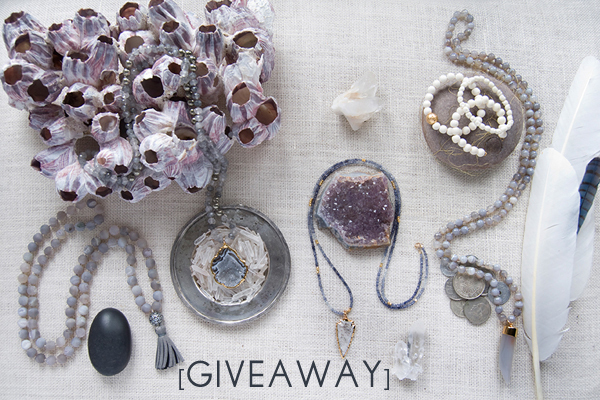 I have such a great giveaway for you today!! 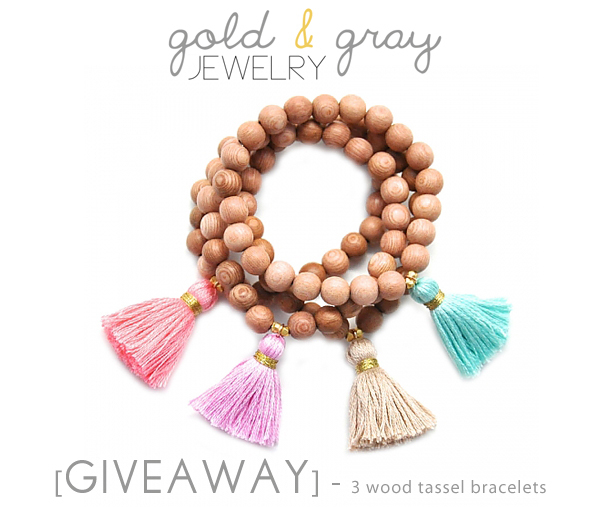 Lily from Gold and Gray is offering one lucky Mimosa Lane reader a set of three rose wood tassel bracelets! I have been in love with these ever since I first saw them on The Now Stylebook. And now I'm a proud owner of two and never take them off. Lily, whom I had the pleasure of meeting a few weeks ago is the sweetest and prettiest gal you can imagine. And, of course, oh so talented. I have more photos of her designs to show you below. I guarantee you will fall in love with everything. The winner will be announced next Wednesday May 22nd!! Good Luck!! I will be rooting for each and everyone of you! Oh and Lily is generously offering a 25% discount on all of your purchases through the month of May with coupon code mimosalane25. yes! baby!! Sign me up!! Love me some Gold and Gray!! 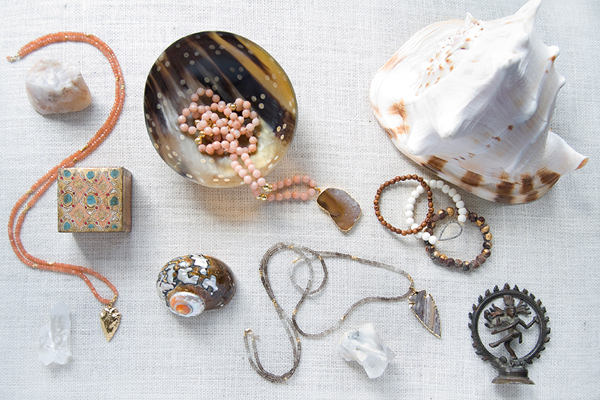 These pieces are so pretty! Following you both on bloglovin! I liked them on FB!...I want these. I'm following you on everything. signed up for the gold and gray mailing list! liked gold and gray on FB! followed gold and gray on twitter! followed gold and gray on instagram! liked mimosa lane on FB! awesome contest! - joined the gold and gray mailing list! followed you guys on FB! These are perfect layering bracelets! I joined the mailing list. I follow you thought GFC! I'm SO in love with these bracelets! Following Mimosa Lane on Twitter! Wonderful giveaway thanks so much...hitting up all the stops now! So so awesome, these are so fun, love them! I just liked Gold and Gray on Facebook! I joined the Gold and Gray mailing list! I liked Mimosa Lane on Facebook! I follow Gold and Gray on Twitter! Thanks for the introduction! Such a beautiful shop! I love gold & gray!! Such beautiful work. 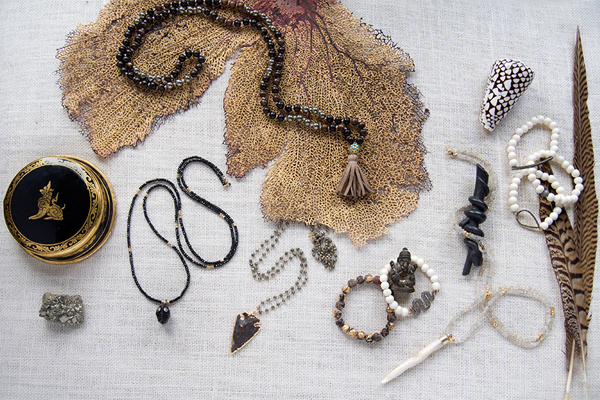 Also follow Gold & Gray on facebook :-) Here's to awesome jewelry! Just joined the Gold & Gray mailing list! Just follewd you on Bloglovin' !!! Love Gold & Gray, those bracelets are amazing! 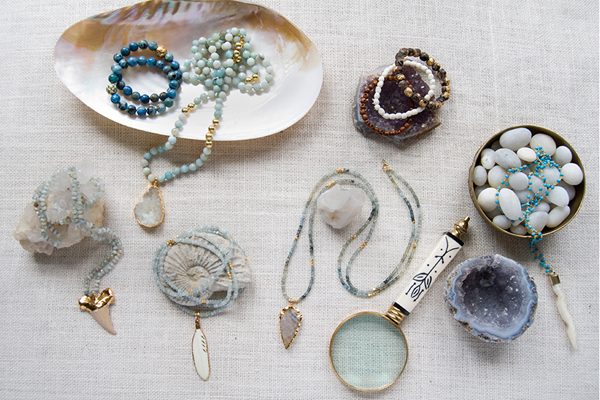 Liked Gold & Gray on Facebook! Follow Gold & Gray on Twitter! I follow Mimosa Lane on GFC! I follow Mimosa Lane on Facebook! I follow Mimosa Lane on Twitter! Those bracelets are beautiful! Perfect for summer. I'm on the mailing list now. I like ML on FB! And I already follow you everywhere else ;) Cheers! I signed up for the G&G blog mailing list! I liked gold and gray on instagram! I liked gold and gray on Facebook :) Love these! I signed up for the G & G Mailing list! !